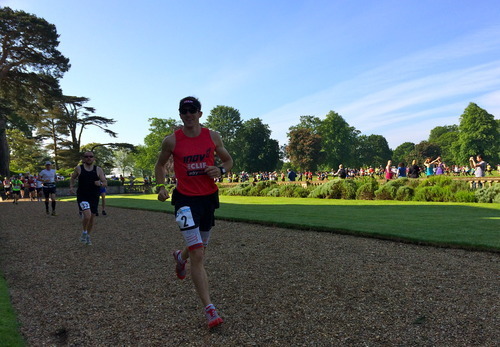 At the weekend I completed my first ultra marathon: The Northants Ultra 35 – Shires & Spires. 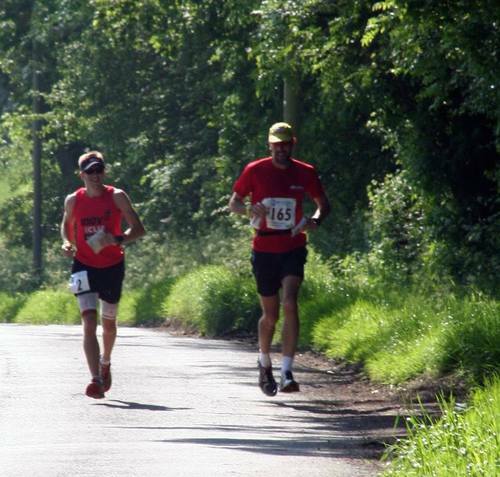 To be classed as an ultra marathon a race simply has to have a distance greater than that of a marathon. Considering this was to be my first ultra I chose a 35 mile race, a distance I considered the next step above a marathon but below the likes of a 100km race. 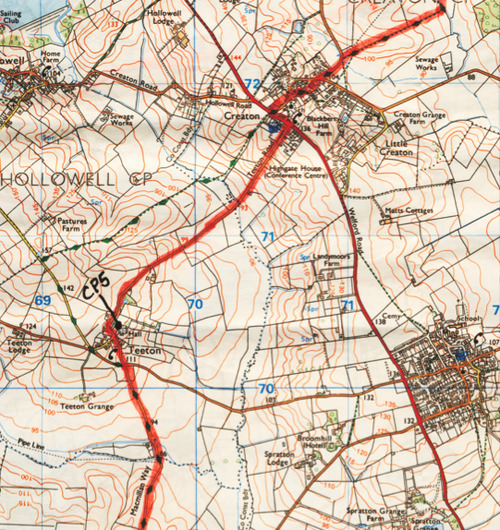 Held in Northamptonshire it was a self navigation race using OS type maps; the course was undulating with about 600m of total climb and the weather was glorious… if not verging on a bit too hot! I have always wanted to compete in an ultra marathon. To run further than 26.2 miles seems strange to most people but to limit yourself to simply running a marathon and no more could be seen as equally strange, especialy considering how the marathon distance is essentially random and ‘made up’. My goal for this race wasn’t to go out hard. I simply wanted to prove to myself I could comfortably run the distance and see how my legs performed. Following my marathon performance earlier in the year, I was confident the extra 9 miles or so wouldn’t be too much of a problem. Having this distance in my legs should also prepare me for the 73km 10 Peaks Challenge later this month. The first thing I realised on arriving is what different tactics are chosen for carrying water, food and gear in an Ultra. This ranged from what I would call a big enough rucksack for a 2 day mountain marathon to simply carrying a water bottle. I chose to use my inov-8 race ultra 1 (minimalist bum-bag) with one of the 500ml bottles of water, using the other pocket for my phone, compass and Cliff shot blocks – which served as my main source of energy during the race. 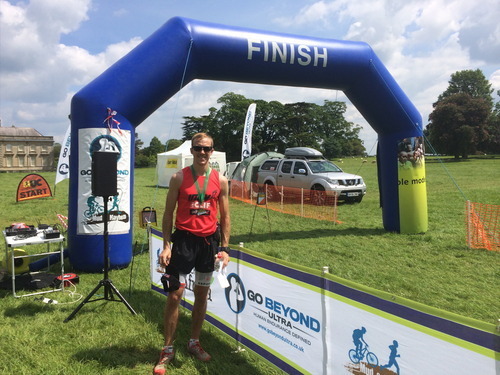 As the race got underway I enjoyed the relatively slow pace, trying to stay relaxed and enjoy the views in what was a lovely piece of countryside. Running an ultra definitely produces a different sort of pain to shorter distances: aching knees is the first you notice but in the background it is as if someone has opened the tap to your energy, letting it slowly drip away. I figured the best way to stay on top of this was 1 Cliff shot block every 15 minutes, washed down with water from my bottle and the 5 checkpoints around the course. I spent the first half mostly running with the eventual 3rd place finisher, Andrew Pace. He had run the race two years before and come better prepared for the navigation side of things so corrected many a wrong turn made by myself. Finding footpaths can be difficult at the best of times, so I was glad to have the company and directions. We chatted about many things which added to the experience and made time pass that bit quicker. At 20 miles I forged a head for the last time completing the last 15 miles without making any huge navigational errors and feeling strong as I ran. I crossed the line in just under 4hr15mins, which I was told is around the course record. I was pretty happy considering at no point during the race did I feel I was pushing particularly hard. I got a bit of a stitch in the last 5km but put this down to getting complacent about drinking and eating so close to the end. 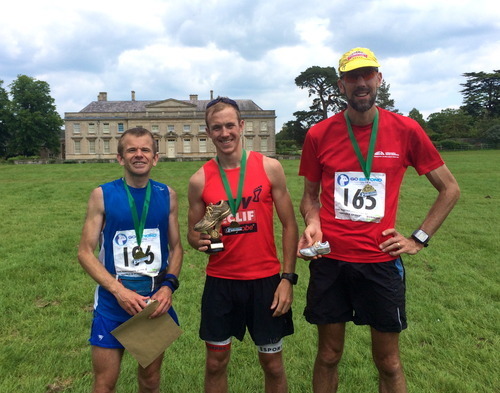 Another race to add to the application for the 2015 Dragons Back and the ability to tick ‘ultra-marathon’ off the to do list! Having completed the shortest and longest races of my life within a week of each other, let’s see what performance this produces for the Welsh 1000 peaks race next weekend!